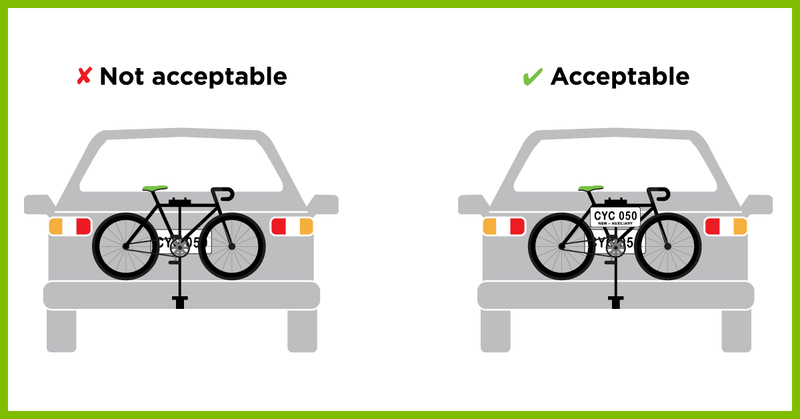 If driving with a bike rack on your vehicle that obscures your number plate, an auxiliary plate is needed. It is commonly thought that displaying a handwritten number plate is enough, however this is illegal. A clearly displayed handwritten number plate can still incur a fine and a loss of demerit points. Number plates and tail lights need to be clearly visible. Therefore, a light board may be needed as well. 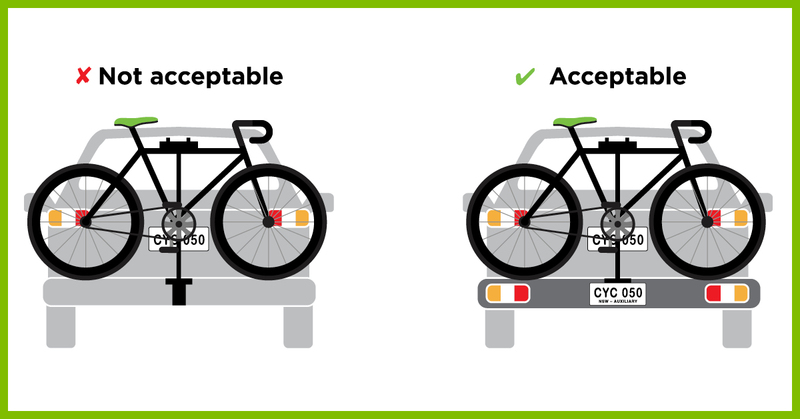 If your bike rack obscures your number plate you will need to order an auxiliary plate from My Plates. Read more about number plate requirements here.